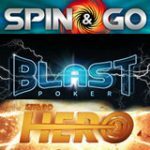 Blast Poker Jackpot Sit & Go has finally been released by 888poker, the new four player fast-paced Jackpot SNG games start from as little as 10c. 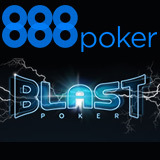 The 888poker Blast Poker game allows players to play for a random prize pool between 2-10,000 times the buy-in amount which range from 10c up to $30 per game. 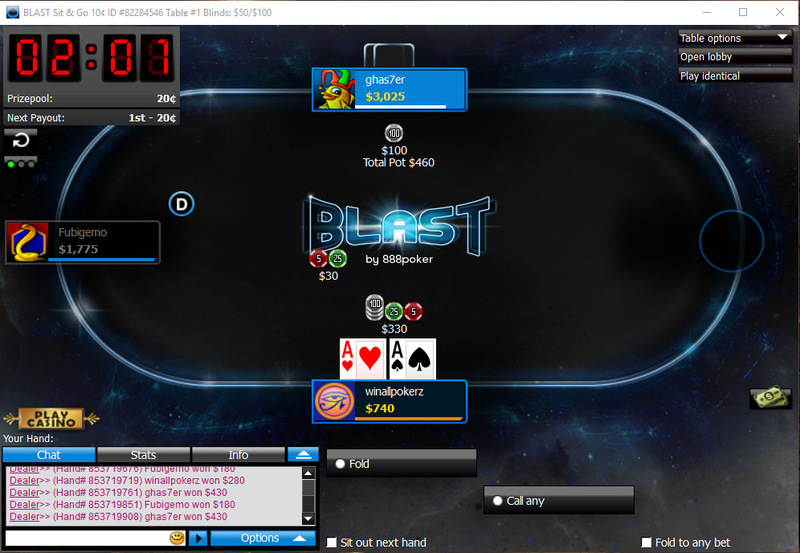 Gameplay is extremely fast with two minute blind levels, the entire game last six minutes. 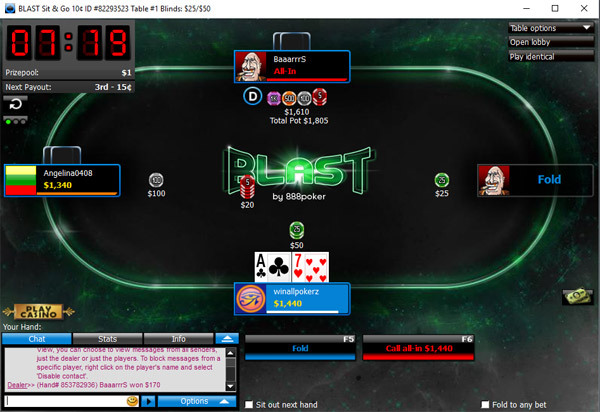 After the countdown ends all players are all-in every hand until a winner is determined. 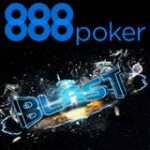 Play the new Jackpot SNG game Blast Poker on 888poker and play for up to $300,000 in prize pool, after registering for a game the prize pool amount is a lucky draw. 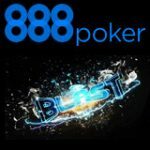 Win up to 10,000 times your buy-in in just six minutes, once the blast time finishes counting down all players are all-in until there is a winner. 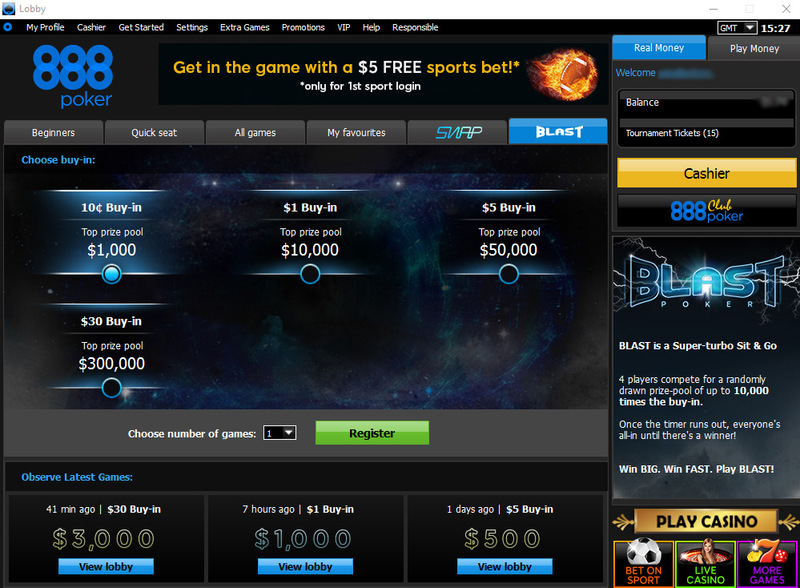 Find the new game in the 888poker lobby next to the SNAP Poker tab. 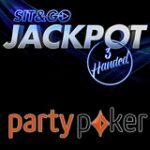 There are four different buy-in levels: 10c, $1, $5 and $30, players can register for up to four games at a time. 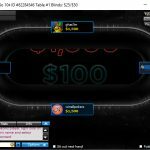 Once you are seated at the table the jackpot spinner starts spinning to determine the random amount of the prize pool you are playing for. 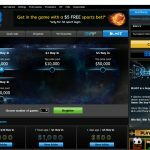 There is a 10% tournament fee on all 10¢ buy-in games. 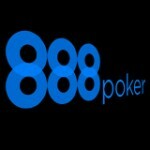 There is a 9% tournament fee on all $1 buy-in games. 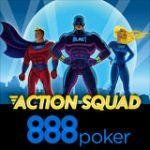 There is a 8.60% tournament fee on all $5 buy-in games. 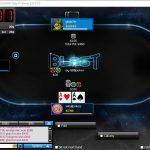 There is a 6.67% tournament fee on all $30 buy-in games. 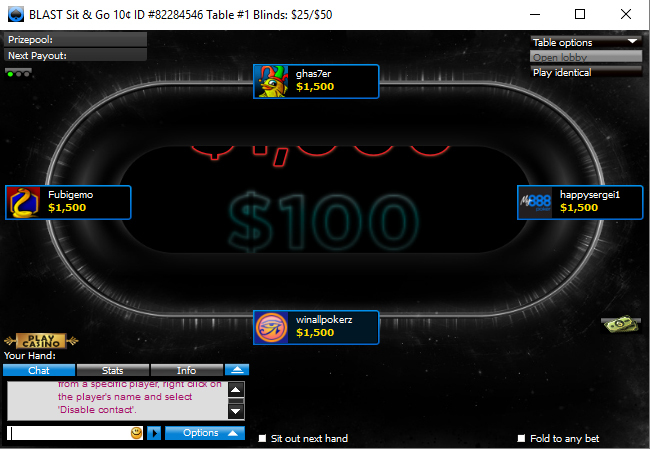 The prize pool distribution varies based on the Multiplier level, in some case all players get paid, the minimum multiplier games are winner takes all.